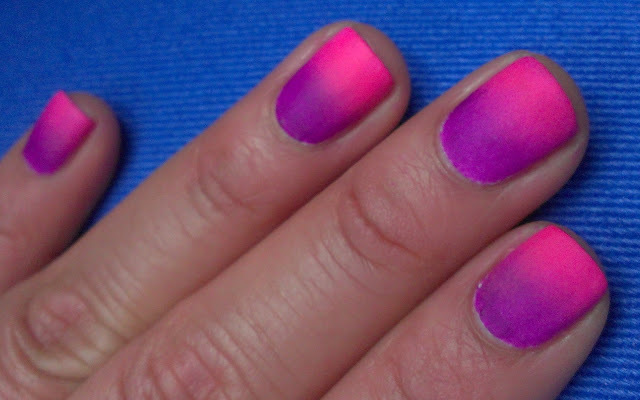 For this mani I did a gradient using I Kissed a Girl & Nasty Girl!!!! & How cute is the packaging of this collection.. they are all minis! the packaging is quiet cute. I'm usually more fond of the shiny look, but in this case I like the matte mani better. It looks really good. 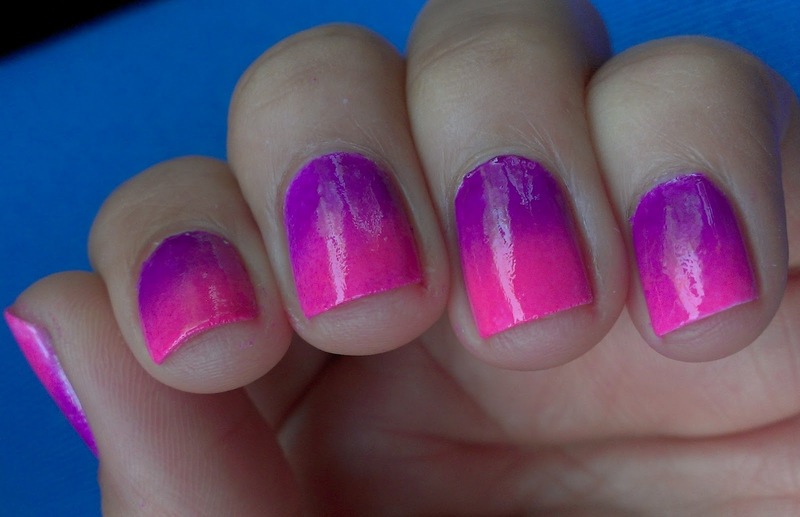 This manicure looks so cool, i love the color combination. OOOOOHHHH, I love, love, love this hot, vibrant and bright combination, it's gorgeous!! Very vibrant combo. Enjoy your goodies. I'm sure you'll have lots of fun with them. like i said yesterday i love it! :) the minis are addddddddddddddddorbs!!!! big time kuddos for doing your nails while on your lunch! and umm what Matte top coat are you using? ;) it looks rather nice hhahaha. 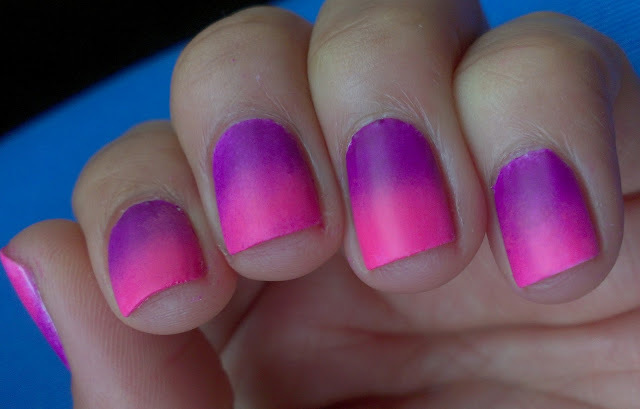 i never thought of doing a gradient the way that you did it with the sponge and both colors! love it! So fun!!!!!!! 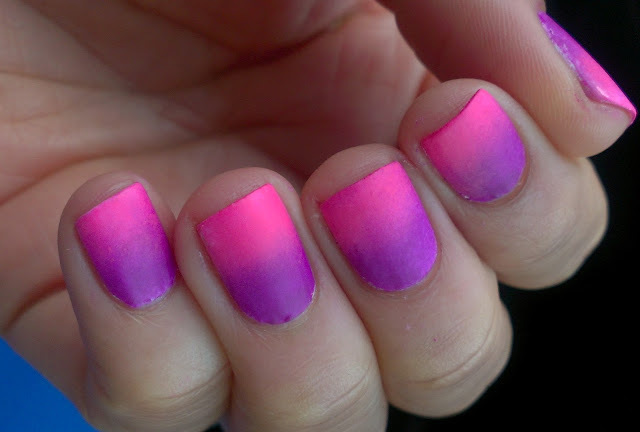 I have been meaning to do a gradient lately! Aaaaah so pretty! Matted is my favorite! 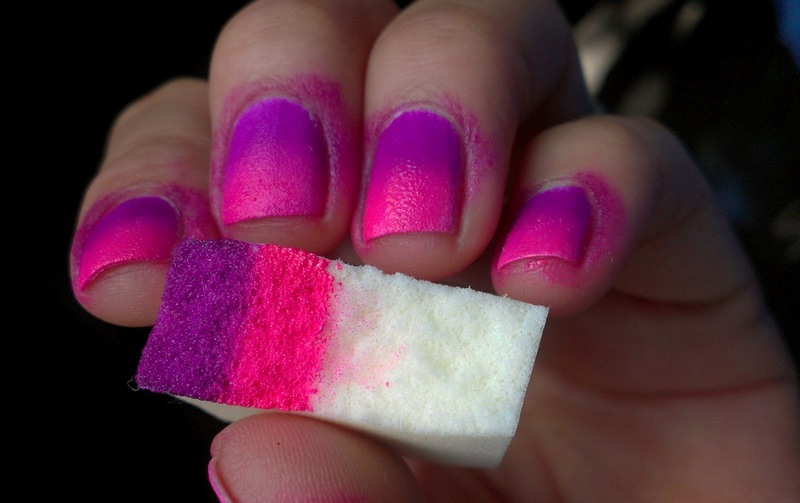 It reminds me of sidewalk chalk! 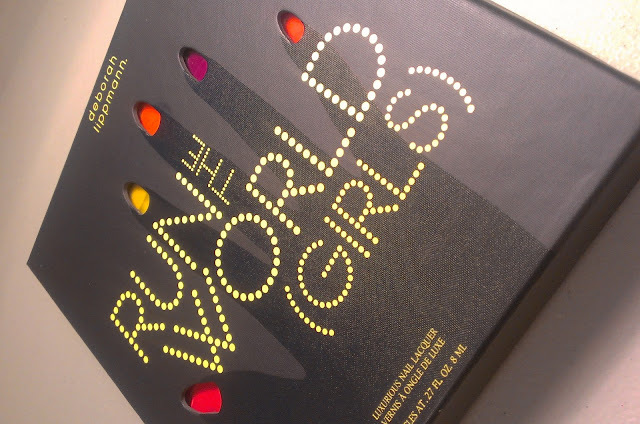 Ooh I like it both matte and shiny :) these colors are so pretty! I want to get my hands on this collection so bad!! 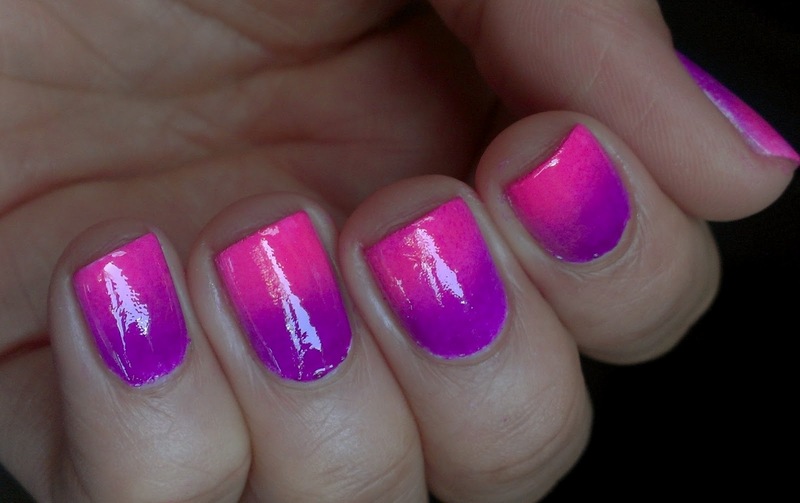 And your gradient mani looks real gorgeous!! I think this is the first Mani that I actually prefer matte! And the mini pack is so darn cute! I am shocked at what I'm about to say here. I actually like the matte version better here. I can't believe it either! I really need to get my gradient skills in order cause this is awesome! Nice gradient! I haven't seen these minis before--interesting. The matte version is so cute! Love it! 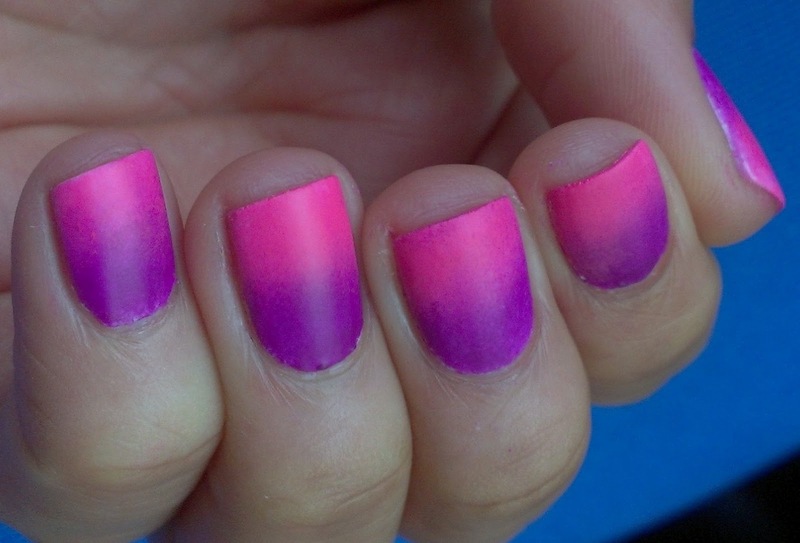 Btw this manicure is simply so gorgeous and I also prefer the matte version a bit more.♥ Great color combo! 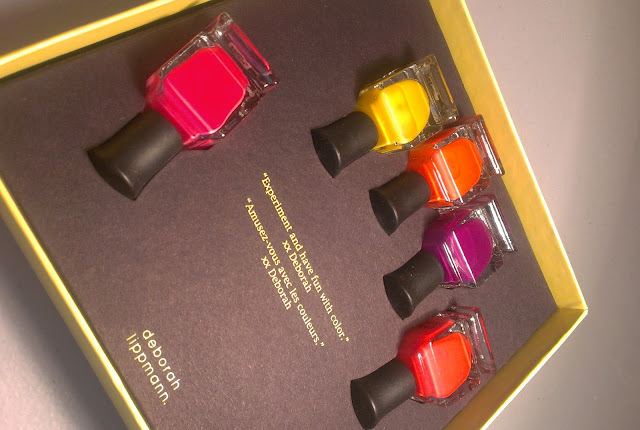 Such a stunning colour, I Kissed a Girl.. my next beauty purchase!